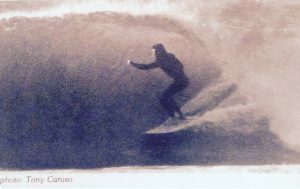 Tom Grow provided his recollection of surfing experiences during the birth and first generation of Pensacola surfing beginning in 1957. 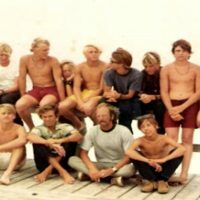 The second generation will go to 1972 and continue on to Ken’s surfing years to date. 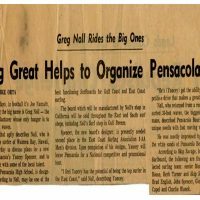 The second generation of Pensacola surfing began around 1964 to 1965 just after the legacy of Tom Grow, Scott Bush, John Russell and a few founders of Pensacola surfing. 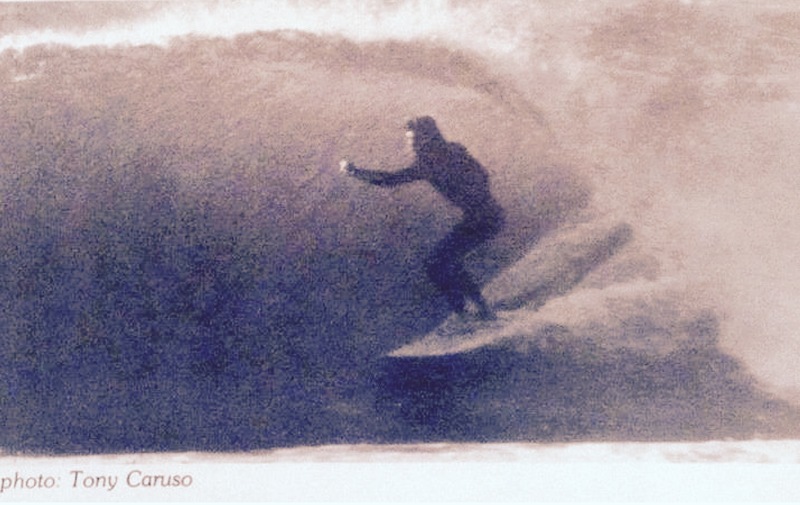 March 1965 – Ken Roose began surfing with his brother Charlie Roose and friend Skip Tanner. 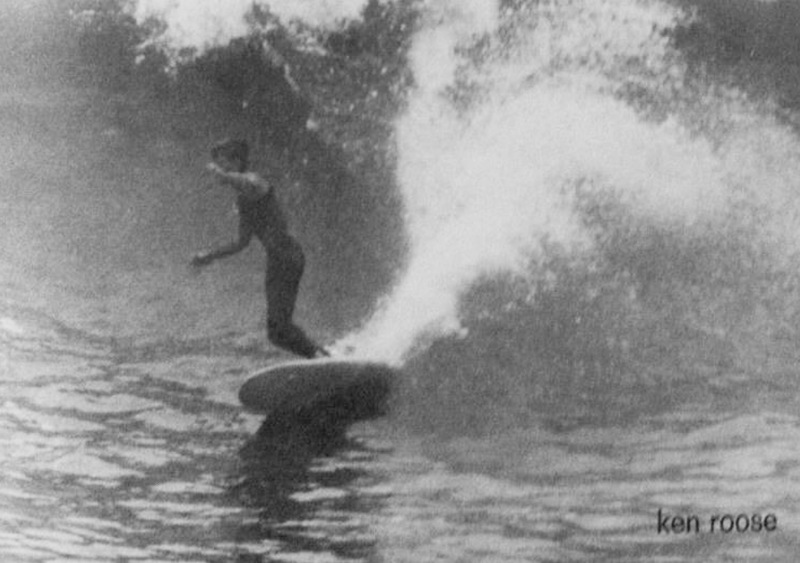 Ken was inspired by surfing mentors from the 1st generation of surfers such as Scott Bush, Tom Grow, and John Russel. Predecessors of the 1st generation included the Chestnut Brothers (Mike and John), Meredith brothers (Steve and Hank), Bob (Longboard) Patroni, Tray Thompson, Wayne Bishop, Buddy Skipper, Rick Miller, Jimbo Turtle and many others. 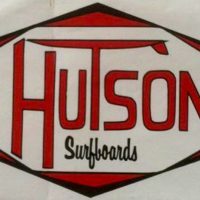 Hutson Surfboards’ logo, a surf shop in Pensacola, Florida in the 1960-1970’s. 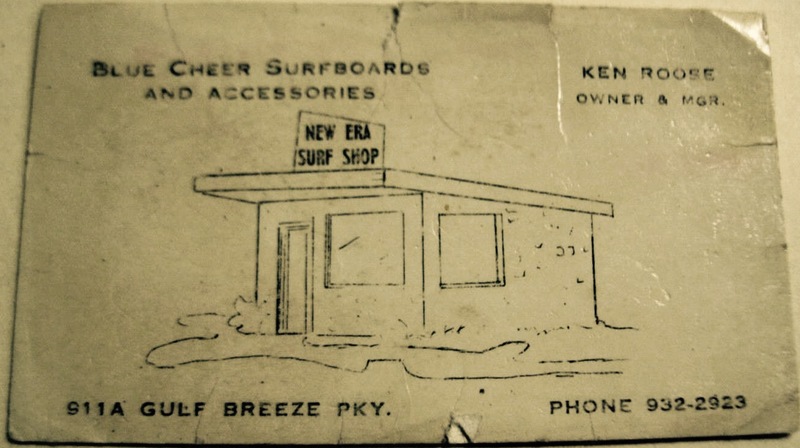 May 1965 – Ken purchases his first surfboard from Hutson’s Surf Shop for $110. 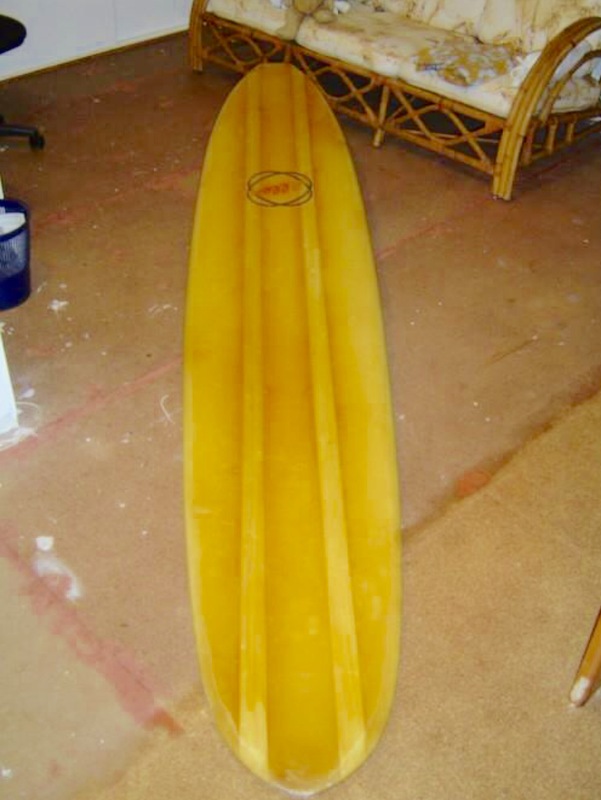 The board was one of Scott Bush’s personal boards, 10ft pintail and weighing 36 pounds. May 1965 – Ken introduced surfing to Yancy Spencer on the steps of AV Clubbs Jr High School by showing him an issue of a Surfing Magazine. The next weekend Yancey showed up on the beach, borrowed Kens 10 ft Hutson board and learned how to surf with instructions from Ken, Herb Turner and Tommy Hoffer. 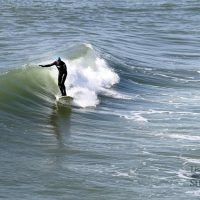 Other well-known surfing greats followed on the surfing scene such as: Beaser Turner, John Spencer, Robbie Owens, Brad English, Glenn Curl, Scott Shepard, Buddy Capell, Jackie Seale and an array of others. 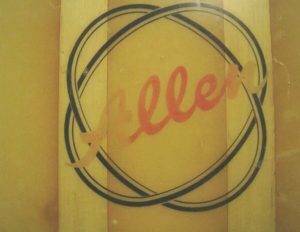 Logo of the Allen Surfboards company, in Jacksonville, Florida. 1967. 1967 – Gary Workman opened the Allen Surf Shop located on Cervantes St. in an old hotel just east of Pace Blvd. 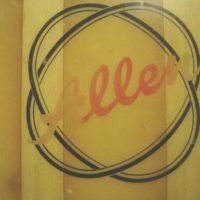 Allen Surfboards were manufactured at a big factory in Jacksonville. 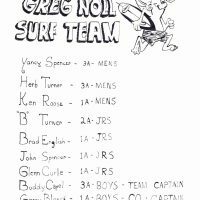 The Allen Surf Team was formed by Gary with senior team member Rick Miller. Other team members were Yancy Spencer, Ken Roose, John Spencer, Brad English, Beaser Turner, Buddy Capel, Mike McIntire and others. 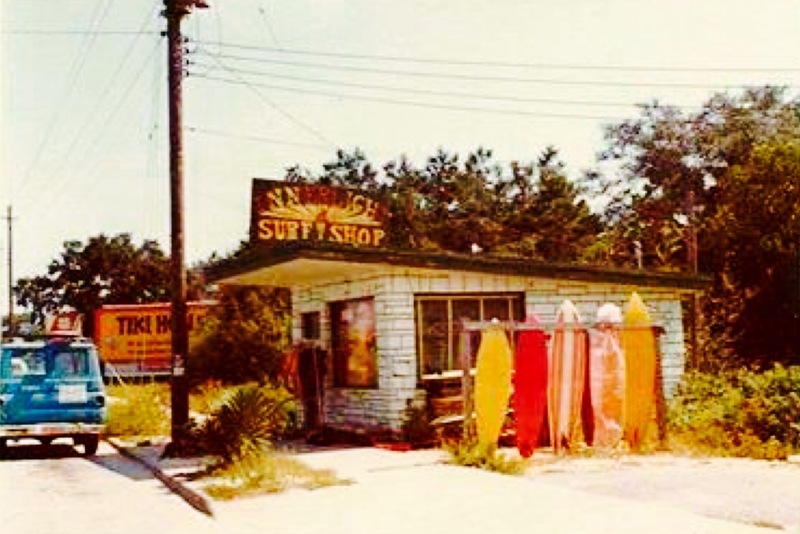 1969 – Skip Savage and Ken Roose opened the Greg Noll Surf Shop in Gulf Breeze located down the street from Scott’s Challenger Shop, next to the old Bay Window restaurant. Skip opened this shop as an extension of his Surf Shop East shop in Delaware. Simultaneously, Yancy promoted the Greg Noll Surfboards nationally. January 1970 – Greg Noll visits the team and to talk future business. Ken’s mother cooks a big spaghetti dinner for Greg, Skip Savage and the team. Mrs. Roose was shocked at Greg’s “potty-mouth.” His “potty” words were quite numerous and humorous. Ken Roose on a big outside day at Penscola Pier, wearing a sleeveless wetsuit. Photo by Skip Savage. 1971 – Skip gave the shop to Ken. 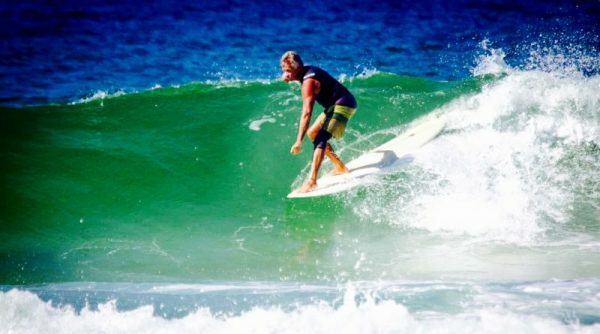 At the age of 21, he became owner and manager of the smallest surf shop in Florida and Skip formed the largest surf team assembled on the Gulf. 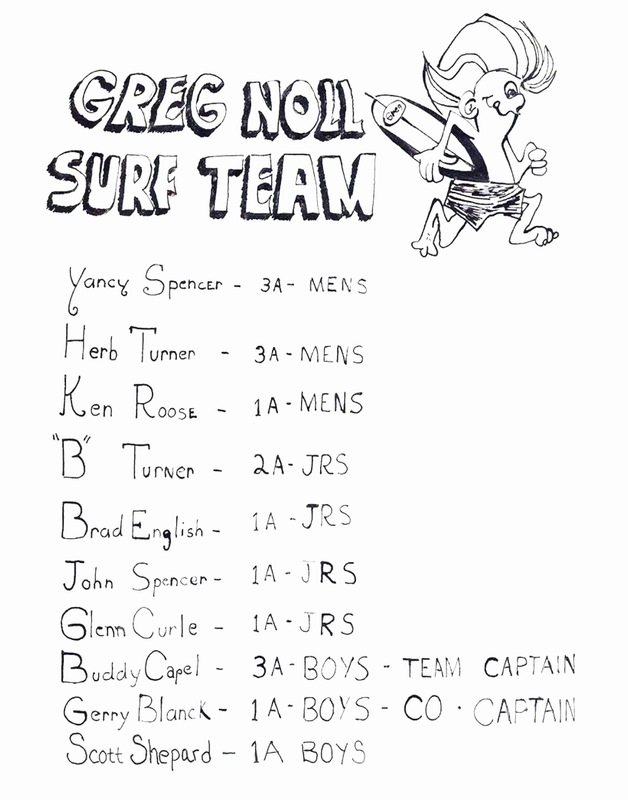 The Greg Noll Surf Shop team, Pensacola Pier, 1971. 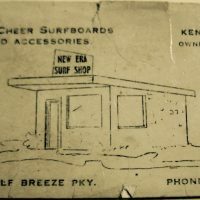 1972 – Shortly after the shop changed names to New Era Surf Shop, Ken sold the shop for $250 to Yancy, which became Innerlight. Ken released the shop to continue his degree in art education from UWF. 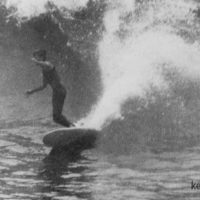 1974 – During the mid-70’s, Ken surfed competitively in the ESA, GCSA and WSA, and for sponsorships such as San Diego Surf Shop, Innerlight Surf Shop, and Waterboyz Company. Photo of Ken Roose of Pensacola, Florida. This photo was featured in Surfing Magazine, July 1975. Photo by Tony Caruso. 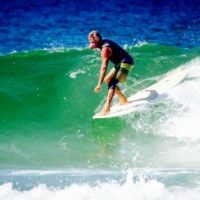 1980’s – Ken began designing a longboard for Gulf Coast surf with contributing shapers Hank Warner of San Diego, Steve Forstall of Pensacola, and Rick Burhams of New Smyrna. 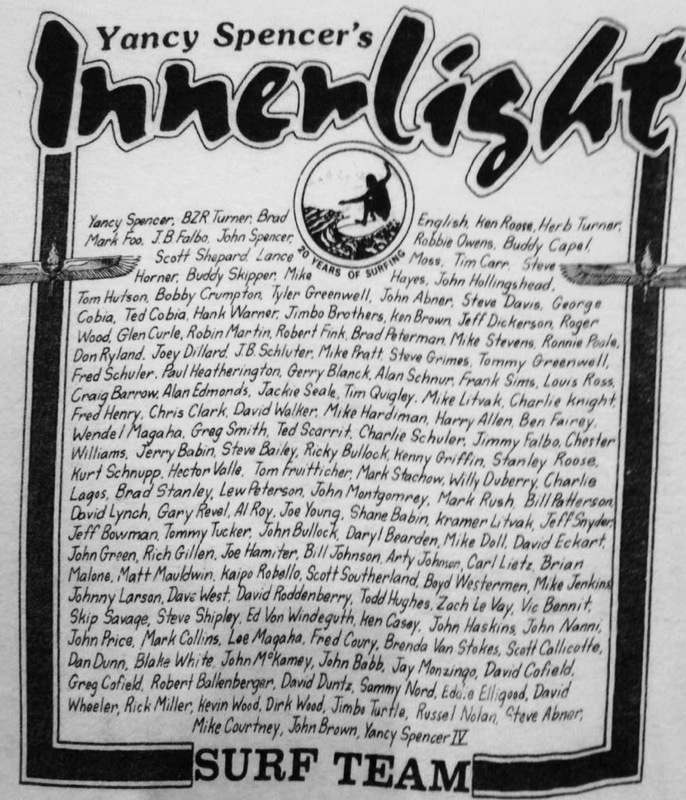 A listing of all surf team members who had surfed for Innerlight for 20 years, as of 1985. 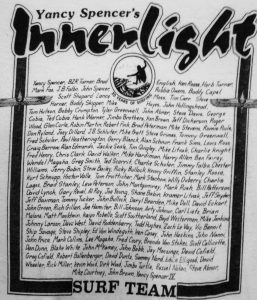 1985 – ‘Blast from the past.’ For his 20-year celebration of surfing, Yancy designed a ‘T’ shirt to reveal all the surfers who had surfed for Innerlight. 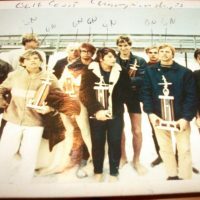 This list of names is the largest of Pensacola surfers ever documented and ties the third generation of surfers to the first and second. 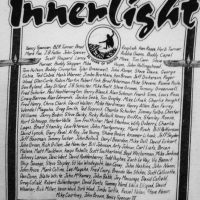 2002 – Yancy Spencer and Rick Burhams of Innerlight promoted the longboard model that Ken was designing. Shortly after, Rick invited Ken to his shaping room and as a result the ‘Rooster’ model was designed by Kendall (Ken), shaped by Rick and sponsored by Innerlight. 2006 – Kendall’s sponsor and model shifted to Waterboyz where the ‘Rooster’ model was co-designed and shaped by Rick Bullock. 2008 – After departing Waterboyz in late 2008, Kendall (Ken) continued to encourage surfers to ride local boards made in the United States. To continue that influence, he turned to local shapers Erie Peeples and Ricky Carrol from the central Florida area to shape his high performance longboards. Photo below by John Russel. 2010 – Kendall retired from a lengthy career of commercial surfboard repair. 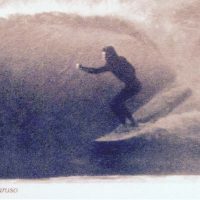 From 1966 to 2010, he repaired over thirteen thousand surfboards for Greg Noll, Innerlight, Waterboyz and local surfers. Other repair sites ranged from Delaware, San Diego, San Clemente, Corpus Christi, Jacksonville, Costa Rica, and Nicaragua. 2013 – Kendall ‘Rooster’ reunited with the Waterboyz company. His model is back in the hands of Rick Bullock and Sean Fell. Ken Roose, Navarre Pier, 2014. Ken is wearing an AquaLid, one of the first head gear items specifically made for surfing. These sold out in the Greg Noll Surf Shop in 1969-70. Photo by Lisa Traweek. 2014 – Kendall is wearing one of the first head gear made for surfing, called the Aqua Lid. He sold them out of the Greg Noll Shop in 1969-70. He still wears it to date. 2016 – Just turning 66 of age, he now rides and promotes longboards manufactured by Waterboyz company. Kendall will begin living in Matapalo, Costa Rica for six months at a time and flip-flop back to Pensacola for six months. 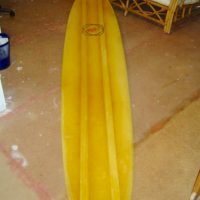 Allen Surfboard from the factory in Jacksonville, Florida. 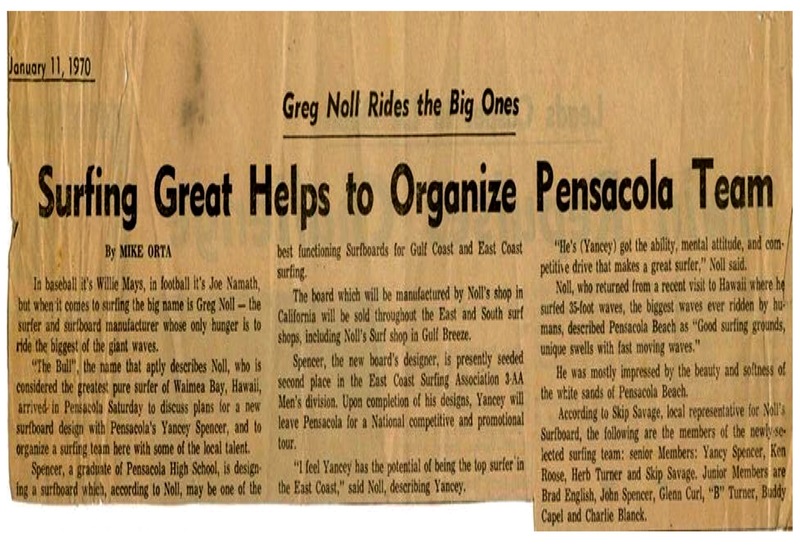 Greg Noll’s visit to Pensacola Beach, January, 1970. 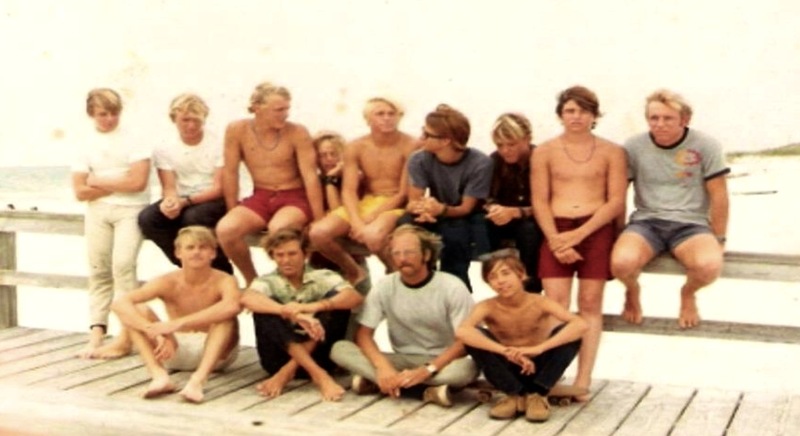 The early Surf Shop Team Status in Pensacola, 1971. This was pinned on the shop’s bulletin board. A business card from New Era Surf Shop, Pensacola, Florida, 1972. Owned by Ken Roose. 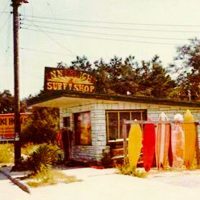 Innerlight Surf Shop, Pensacola, Florida, 1972, after the shop had transferred ownership from Ken Roose to Yancy Spencer. The sign was an 8′ by 8′ plywood board repainted with Greg Noll, Blue Cheer, New Era, and finally Innerlight. Ken Roose on the nose, 2008.